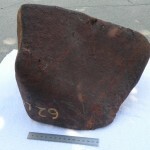 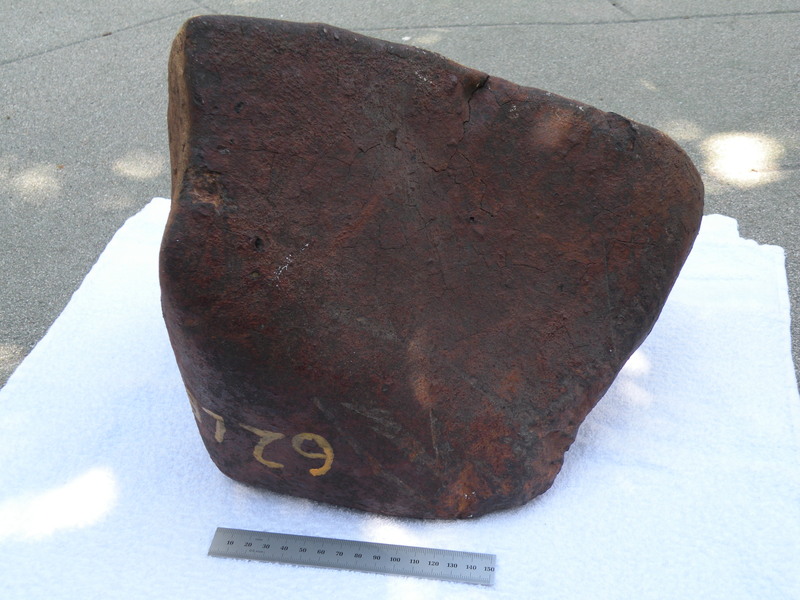 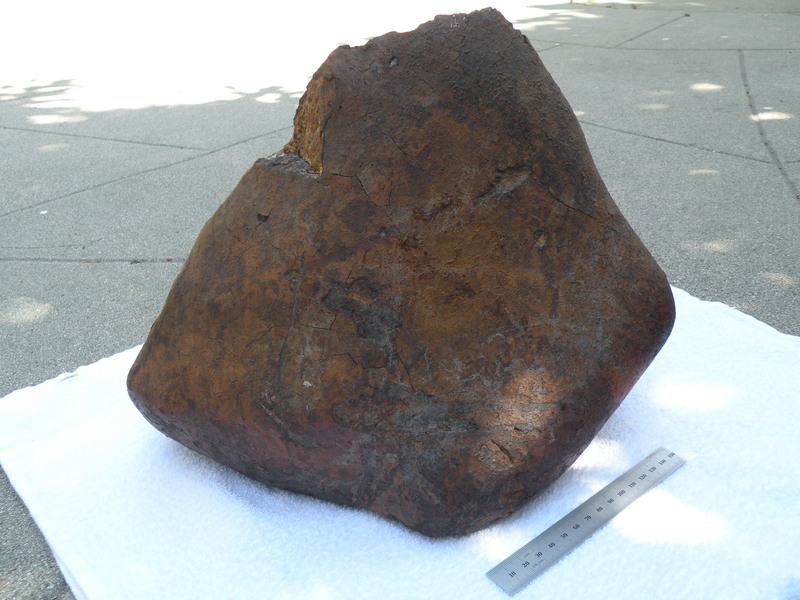 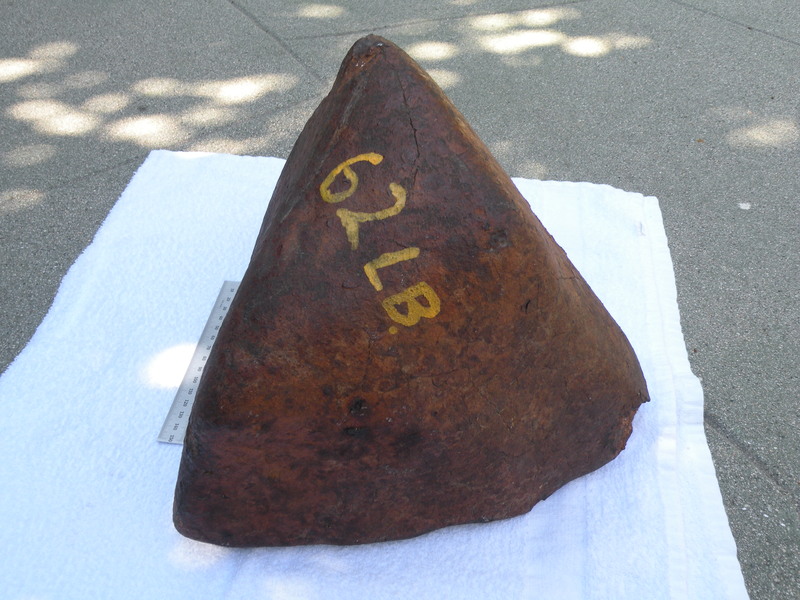 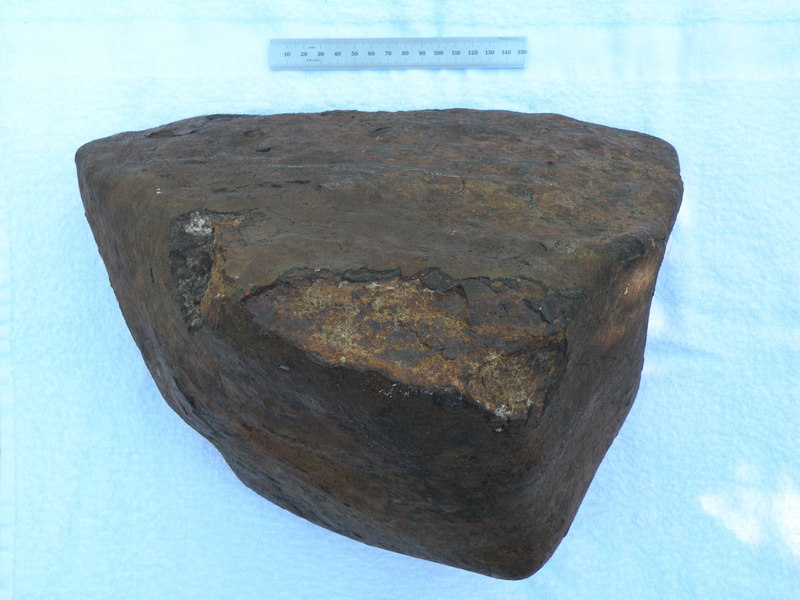 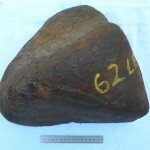 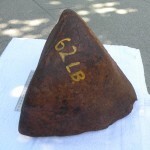 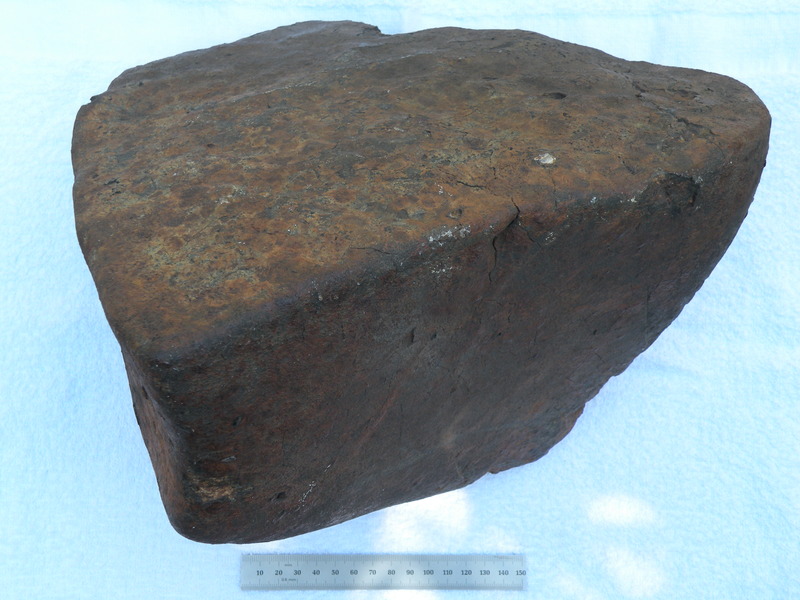 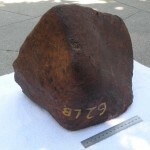 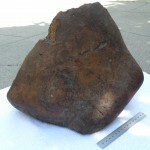 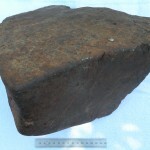 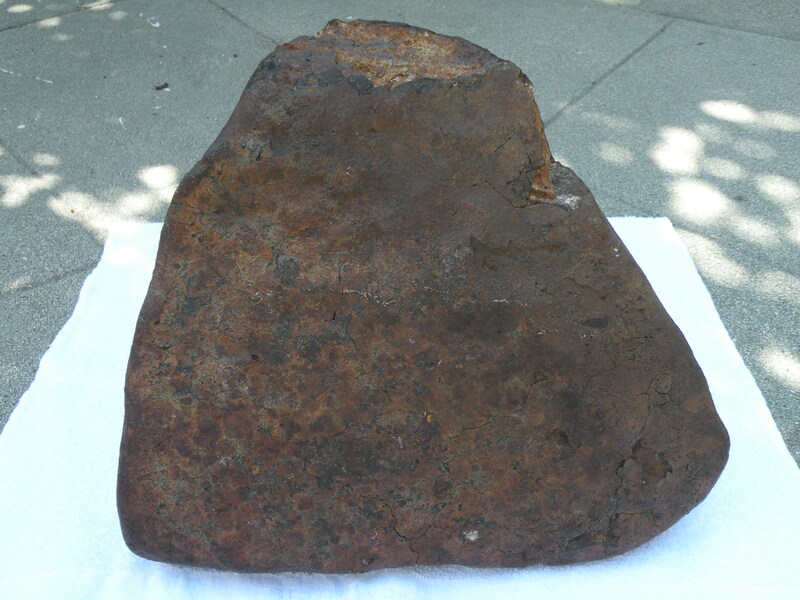 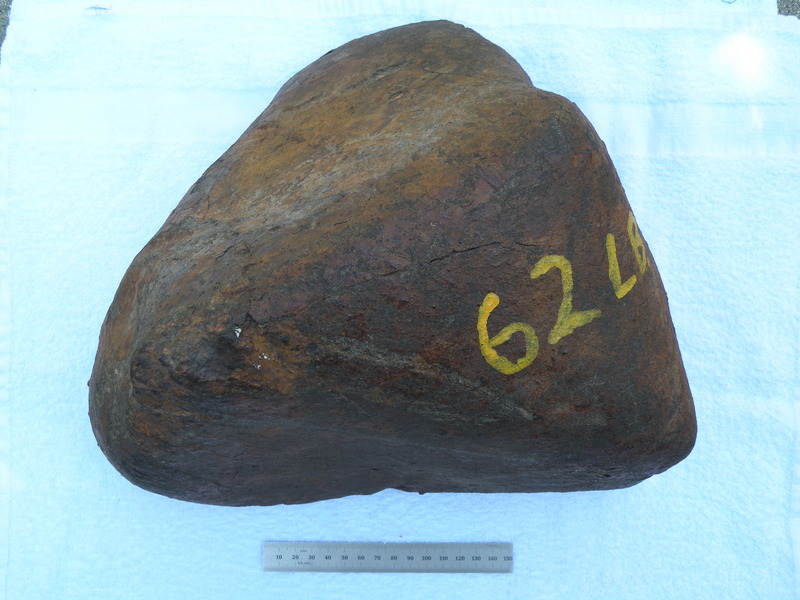 Meteoritical Bulletin entry for Bunker Hill. 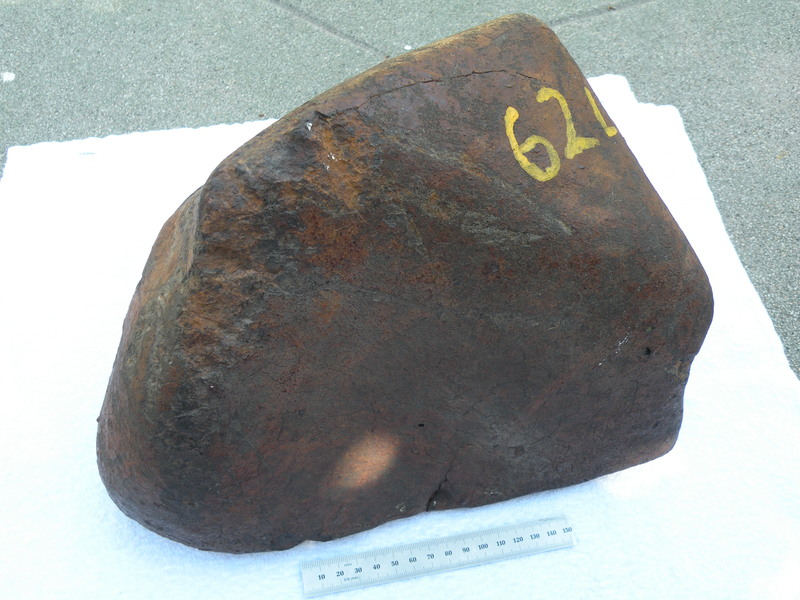 After we purchased the stone from Bob Haag in Tucson, local friend and meteorite hunter Robert Matson was kind enough to drive the stone from Tucson to Los Angeles for us (we flew that year), and we met up at Lucerne Dry Lake to hunt and to hand-off the stone. 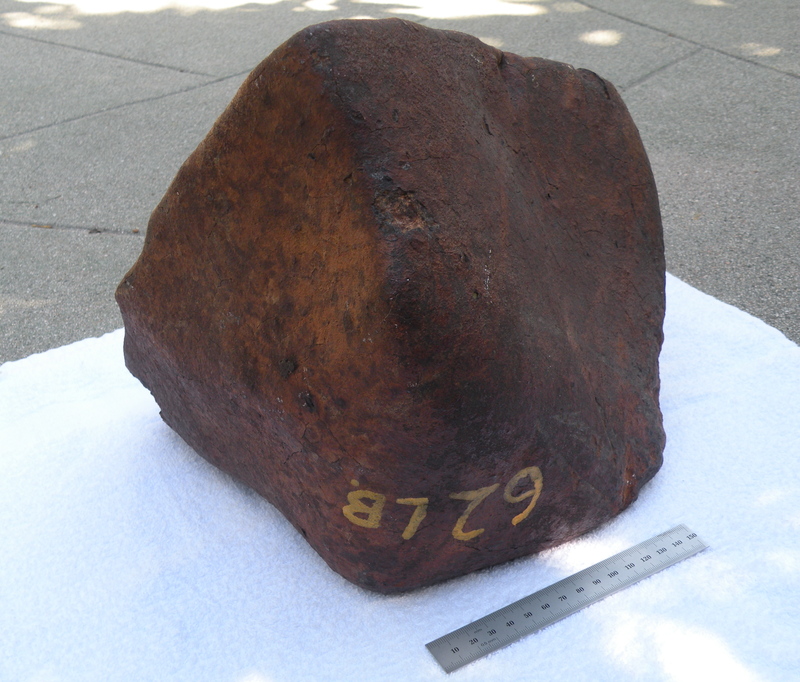 I don’t understand why the stone was claimed to be lost, or why the folks who edit the bulletin have not updated the meteorite’s page. 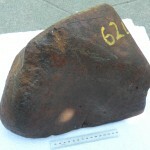 The stone itself is fully fusion-crusted and oriented, with three flat sides that meet at a rounded nose. 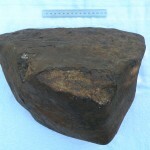 The trailing face of the stone is covered with a thick, warty fusion crust. 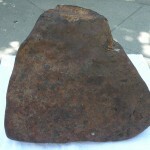 The surface is marred only by a number of marks left by a farmer’s plow, and by the two fragments hewn from one edge by the finder.